The youth of 1976’s efforts to bring about change in our system did not go in vain. A generation of young, passionate, intelligent people is stepping up and pursuing their dreams. In remembrance to what the youth of 1976 did for our country, Beat Magazine caught up with two young people who are dream chasers and are not scared of anything. 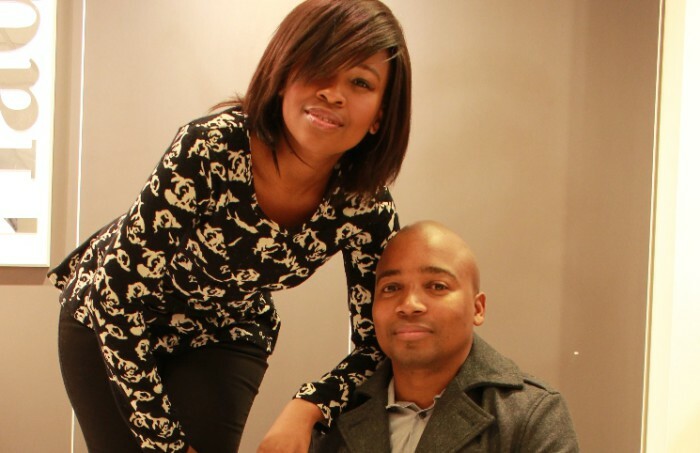 Both Lusanda ‘DJ Minty’ Mnqeta and Xabiso Sidloyi have one thing in common- what they are doing has always been a dream and they are living it. I’m sure the youth of 1976 also had a dream, similar to what some our young people are living today. Stepping up for what they believe in, creating jobs and standing against those who are anti- development. Xabiso was born in East London and like many young people he wanted to be a doctor but then he realised he was not so good in science but rather technical drawing. “I was good in technical drawings, I used to win awards at my school and my teacher convinced me to study architect. He truly listened to his teacher because today the 31-year-old is now the founder of ArchorXS Architects and Projects Managers. Since the company’s formation in 2008 it has won numerous awards and created opportunities for other young people. “I started the company in June 2008, it had always been my childhood dream to start my own company, “he said. In 2009 Xabiso’s company won the South African Breweries (SAB) KickStart competition which enabled him a step closer into realising his dream. “I used the prize money to buy furniture and equipment for my business, “he said. Xabiso said he had always been inspired by great entrepreneurs who built successful organisations from nothing. “I was also inspired generally by entrepreneurs and business men as these people provided services to the community and created employment.” He has certainly followed into the footsteps of many entrepreneurs because his company which is based in Port Elizabeth has employed 12 permanent workers and one is working at the East London branch. Other achievements the company has received include; Small Enterprise Development Agency (SEDA) best success story 2010 (Nationally), Productivity award Regional winner 2011, PERCCI Top 40 under 40, and Eskom Business Investment Competition 2012 winner in trade and service category. Xabiso said the company was currently working on a multitude of projects for various public sector clients. “There is about 16 projects that we are busy on and we are also busy with the renovations of a block of flats for XS Developments, “he said. Though business is going well for this young man he said there were hurdles on the road. “We have limited exposure to private sector clients, the company faces though competition from existing companies, “he said. He said another challenge he encountered was how would he manage and grow the company to make it capture bigger market share. “I overcame that challenge by gaining knowledge in business and project management in order to successfully manage the company and implement projects. I also focused on production process, implementing lean production philosophies in order to deliver the right quality at the right time, “he said. Xabiso hopes to expand his business all over the province and create more jobs. He spent Youth Day at home relaxing with family. He said Youth Day had a great value in his life as the youth of 1976 gave their lives so that people like him could enjoy the education and freedom they fought for today. DJ Minty on the other hand is a down to earth soft spoken lady. At first you would never think this financial officer is a DJ but as you get to see her creative side you realise she is indeed one of the finest female DJs our province has seen. Although DJ Minty has become a household name in the province it was only when she was studying towards obtaining her finance degree that she realised she wanted to be a DJ. “It was a year later after my first year that I actually went into djing,”she said. By day DJ Minty works for Buffalo City Metro’s finance department and at night she attends functions and keeps people entertained. “I love what I do. I can’t imagine my life without Djing. The journey has been overwhelmingly good. This is the one thing I’ve ever done that keeps surprising my belief and thinking of my potential. There are challenges no matter what you do, same applies here but for me there has never been a time where there was a challenge so big that I would have considered quitting, “she said. While many musicians move up to the big city lights in Johannesburg, DJ Minty said her dream was to help develop the youth of Eastern Cape (EC). “I am still in the Eastern Cape because my goals and dreams are not affected by location; they depend solely on my potential, talent, handwork and dedication. I have a Sound hire and DJ school in the EC. I have major plans and dreams for adding my little bit towards youth development in the EC. A move to the city of Gold is not vital towards reaching my goals of yet, maybe in the future, “she said. However she said if a person saw an opportunity they would like to explore somewhere, they should always go for it. “But on the same breath, Johannesburg is not the only way for one to explore their dreams. Tira and Big Nuz are just one example, “she said. DJ Minty said she was working on a project with school kids. “I am also going to be hitting the studio and working on some music as well, “said the 27-year-old Mthatha born DJ. DJ Minty said she hoped the youth of 2013 would fight the issues of their time with the same confidence and dedication as the youth of 1976. “Working as a collective in addressing issues like HIV/ Aids and teenage pregnancy. June 16 is a very touching story and what the youth back then fought for is the reason why I got the type of education I got, “she said adding that she hoped everyone could take something from the youth of 1976. Both DJ Minty and Xabiso encouraged young people to follow their dreams and to keep the spirit of the youth of 1976 alive. “They younger generation needs to work on their business plans, finance and be passionate about their business and servicing the community,” added Xabiso.